In 2011, DNAfitness moved into their new 30,000 square foot facility. The new facility provides a place for Professional and Amateur athletes to hone their skills and develop their talents as well as business professionals, executives and individuals alike to reach their goals in a results oriented environment. We have created an environment that gets results. We get asked a lot why our one, yes one, TV isn’t ever on. The answer is because no one gets results while watching TV (it’s mostly for show and presentations). When you step in the door, whether you’re an elite Athlete or so called regular folk you are here to work and reach your goals. Watch TV at home! We expect of our clients what we expect out of ourselves, dedication and hard work. We would never ask our clients to do something we haven’t or aren’t willing to do. 1. We are a by appointment only gym. This means we are private. In other words this guarantees all our clients are serviced properly, have access to equipment at all times unlike big box gyms, workouts stay on track. We care zero about your ability, which means any client is welcome. We are here to help educate you in every aspect of fitness, training, nutrition and lifestyle so you reach your goals. 2. We are a results oriented gym. If you aren’t looking for results or aren’t willing to work hard, DNA is not the gym for you. This is not a go-at-your-own-pace kind of place. We expect the same level of dedication out of ourselves as we do our clients. From the initial assessment to nutrition to program development to the workout we will give you 100%. Our only request of every client is you do the same in return. Results are guaranteed. 3. The size of DNA reflects exactly what we need. The limited number and carefully chosen coaches ensures the gym is never overcrowded. This also ensures clients know the other coaches and clients. This creates a team-oriented environment where everyone pushes one another to get better and reach their goals. "DNA Fitness is a gym for all ages and fitness levels. Each workout is geared to your individual fitness level and provides a great balance of strength training combined with bursts of cardio. The classes are small and the trainers ensure we are doing the exercises correctly. The trainers provide great nutrition education, which ensures our results are optimized. I am challenged at every workout to execute better - lift more, push more, pull more – always strive to improve. I’m in the best shape of my life – strong and fit and I feel fantastic at 50! " "Having been with DNA almost since it started (8+ years), I can comfortably say that it has helped me get to where I am today and reach my full potential as an athlete. 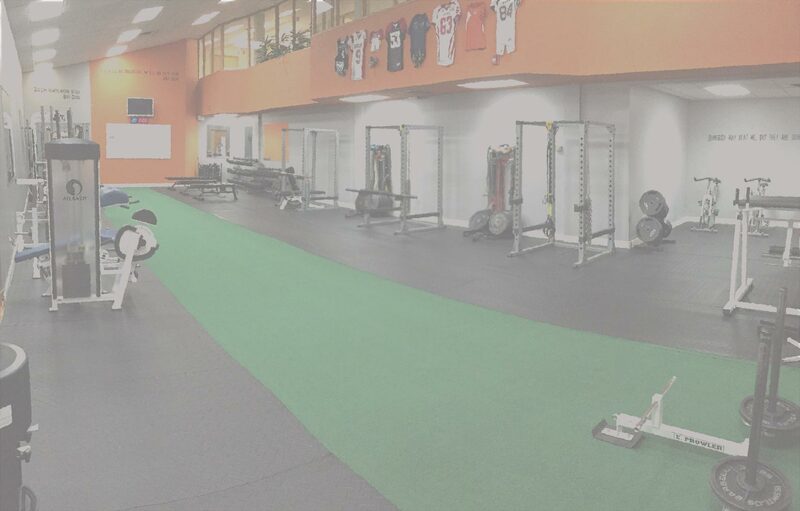 The knowledge of the training staff combined with their willingness to try cutting edge training techniques at their state of the art facilities makes it the ideal atmosphere. They realize that there’s no one-size-fits-all program and tailor their programs to each individual athletes’ needs. The thing about DNA that makes it different from any other gym I’ve been a part of is being able to workout with other athletes of equal ability and similar goals on a consistent basis who push each other every day to get better. I always recommend DNA to teammates and fellow athletes because I truly believe that it is the ultimate environment for any athlete trying to reach their athletic potential." "At DNAfitness bootcamp, you not only get strength, conditioning and nutrition coaching, you also get a community of friends to support you no matter what your fitness level. With their help, you are able to reach your health and fitness goals while enjoying the journey. I attend bootcamp 4 or more days a week and I love it." "DNAfitness provides top-notch strength and conditioning development for all types of athletes. Their facility provides all the necessary tools to achieve success including the weight room and indoor turf conditioning area. I have had the privilege of training with DNA fitness over the past 9 years for football at every level and can attribute my athletic success to the hard work of Travis, and DNAfitness. If you are serious about achieving your athletic potential then DNAfitness is the place for you." "This will be my 4th summer at DNA Fitness. Each summer has prepared me for the new hockey season, along with preparing me for fitness testing in the fall. The coaches are personable and you sit down 1 on 1 to create your goals. Unlike most gyms we have relationships with our trainer as we keep to small groups for better results. Excited to get back in the gym for the summer of 2015 and continue to move forward in my pro hockey career." "DNA fitness is a close group that competes, pushes and helps each other reach their potential. You work out with people that have similar goals to your own, whether that be getting in shape or training for a sport. DNA has helped me to reach my goal of playing CIS football." "Being a former high level competitive athlete, and working out at commercial gyms for a couple of years I wanted to find somewhere to train that was more advanced and able to rehabilitate/work around many injuries I had picked up along the way. When I began training at DNA Fitness, I knew I had found the right place. Travis and his team take a personalized, scientific approach to training and were able to tailor customized programs for me that worked around the injuries that had caused me many problems previously. Having said this, the one area where DNA really sets themselves apart is from a nutrition standpoint. I've never experienced a gym that combines both training and nutrition the way DNA does, as I find many high performance gyms, they lack this crucial aspect. I continue to work with Travis to this day, and would recommend DNA to anyone at any level of fitness looking to take their training to the next level." "DNA Fitness has an outstanding facility; with knowledgeable trainers who know how to get the best out of their athletes. They helped me take my strength and conditioning to the next level for football. One-on-one nutrition sessions are filled with tons of healthy living information. Great environment that prepares athletes for higher level sports/fitness goals." "I first joined DNAfitness Inc. in December 2014. In my time here I have greatly improved on my strength, speed, agility and mental alertness. DNA has not only helped improve my recovery after suffering from post-concussion symptoms, but has also helped me develop a better understanding on how to take care of myself. Travis is truly an excellent trainer. He is the perfect combination of tough and understanding. I have had a vast number of trainers since age seven, and Travis has been by far one of my favorites. He pushes me further than I would ever think I could go and helps me maximize my bootcamp workouts. In these four short months I am noticing quite the difference in my eating habits, my fitness levels and my mental alertness. I would, without any doubt, recommend DNAfitness Inc. to my friends and family!" "I've been going to DNA for a little over a year now, and I have not only enjoyed my training but also value what I learn day in and day out. I have noticed major improvements in my athletic ability sine I began to lift at DNA. The trainers provided me with personalized dieting to suit me along with great injury rehab. For example, recently I dislocated my shoulder twice, both times I was given a set workout to rehab and strengthen the shoulder, on top of that I was given a modified leg workout as to not limit my training due to the injury. But far above all, my favorite part about DNA is the atmosphere in the gym, everyone at DNA has similar goals in mind, becoming a better athlete. Because of this training at DNA is not just personal endeavor, but a team effort." "DNA has been great for me and my hockey career. Travis always makes himself available to help me workout around my schedule and make sure my lifts are customized to my individual needs. DNA has helped me get stronger and faster as player and allows me to train with some of the best players in the area." "I worked with DNA primarily to prepare for football and specifically the CFL combine. They helped me maximize my performance with their vast amount of knowledge and expertise. DNA's facility allowed me to fine tune my performance with a combination of combine specific work and strength training all at once." "DNA has provided me with high quality training for 4 years now and I couldn’t be happier with how it has helped shape the athlete I am today as a Divison 1 NCAA Lax (Lacrosse) player. Not only has DNA helped progress me athletically, the effort and precision behind their injury prevention side of things is what has helped me stay at my best year round. DNA is a fantastic environment in which you are consistently surrounded by people who truly push you to become better everyday."